Jang Dong-gun and Hyun Bin will star in an action blockbuster described as a Joseon-era zombie flick. The film, tentatively titled “Outbreak,” tells the story of vicious night creatures that threaten to overtake a Joseon royal palace. Hyun will play Lee Chung, a character who struggles to protect the palace from the attack. 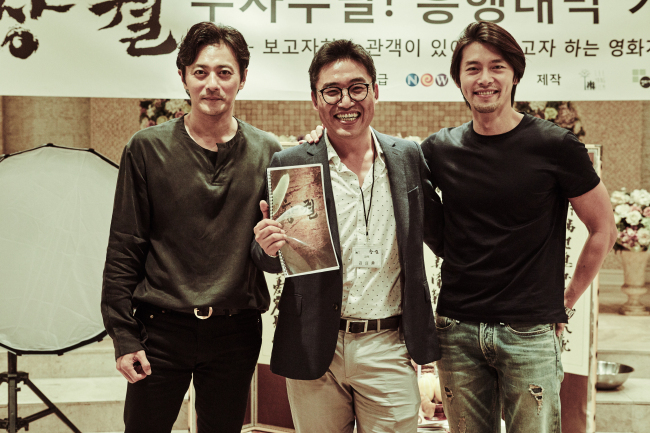 The film also stars Jo Woo-jin, Kim Eui-sung, Seo Ji-hye and Lee Sun-bin. Shooting is slated to begin Sept. 1. The film will be distributed by Next Entertainment World and is scheduled for local release next year.